And significantly increase the number of articles you write and submit! Twitter is a hoot! It can be wildly addictive – and beneficial to your business. But did you know that Twitter can actually make you a better, faster Expert Author? Hemingway was a master at boiling things down to their essence and writing simply – but profoundly. He kept only that which was important. Twitter can give you the practice you need to become a better, faster, more concise and clear writer. Discovering this will make your articles all the more well-written while also adding speed to the overall authoring process. Tweeting makes you think and write simply. With only 140 characters available to you, you can’t spend your time thinking about the longest adjectives to use. I’ve seen middle school writing classes where they are teaching kids how to use elaborate adjectives and adverbs to enhance their writing. I always want to tell the teacher that when these kids get to college, they’ll need to learn to write simply and effectively. Twitter teaches that too. Start simple and end simple. Ninety-eight percent of writing is knowing what to leave out. One often hears at a newspaper office, or when writing a personal essay or memoir “Well, that might be important to you…but no one else really cares.” Twitter helps you to sort out the “nice to know” from the “need to know”. You’re forced to trim away the unimportant details until you’re left with only a precise nugget of wisdom. On Twitter, you have to decide what you want to say – you can’t tell them everything. Just say what you came to say and write about something else another time. Now, while your fellow Tweeters don’t need to know that you are currently eating a sandwich, being observant of the world around you will help you Tweet better – and write better. By noticing the little things, you can bring great interest to previously mundane topics. Twitter forces you to finish your thought. Right there. Right then. You can’t write “to be continued,” or “part two later.” You have to finish it. Now. This will only help you in your article writing as well. You’ll learn to focus your article ideas and complete your thoughts in one well-written article as opposed to meandering over two or three. Hemingway said, “Write the truest sentence you know.” If you do that in at least 50 percent of your Tweets, you’ll be a better writer in no time at all. You may have to Tweet a little less, but your Tweets will be more effective! Twitter catapults any writer into haiku mode. Nice tie in between Twitter and article writing but it’s not the same thing. 140 characters does not an article make. Learning to be succinct is an ongoing process. Twitter helps with that and expands your vocabulary. No 140 characters does not make an article, but it is a good interest feeder and can be used to drive additional traffic to your articles. I use bit shortner. Again, marketing is all about attraction and this leads to the question how can you attract in 140 characters? Yell that often enough and throw in information the listener can use, while answering their “what’s in it for me” question – in 140 characters or less, and people will start to look for you. Pull marketing comes of age. i have learnt a lot by your essay. Some times I would just tweet it is raining, it is hot or it is cold. your article has deifnitley given me an insight about what to tweet. This is interesting, but it’s a stretch. Twitter, texting, Facebook, and MySpace actually do a lot of damage linguistically. Unfortunately, the Internet enables no thought to go unpublished. Twitter’s 140 character limit rewards brevity for brevity’s sake as a technical convenience. Hemingway fully understood the power of brevity and knew how to create a strong narrative. He was a master storyteller. That is sadly lacking in digital communications today. Too many people have stunted vocabularies and simply don’t know how to craft language beyond 140 characters. If I see the letters LOL one more time I am going to jump out of my skin. I think Hemingway would be turning over in his grave if he saw the sloppy writing that is invading our everyday communications. Great Article – I’ve found that on Twitter that you really need to “get to the point” which also is what you need to do in articles. Tweety tips! Really observant ones. My biggest gripes about fellow tweeters is that don’t tweet complete thoughts and/or will fill whole pages with FF (Follow Friday)which is honestly just spam. Another thing that I don’t think people realize it that, their last tweet of the day? Is what people see and judge them by, if they are finding followers organically. Complete thoughts though, even in a reply, that is the biggest thing. So YES! Good info here indeed. OMG.. I HATE that! Posting and then looking to see what I wrote and realizing that NO! I did not proofread my comment well enough. Waa! Just so whoever on the planet knows? I realize I should have written: My biggest gripes about fellow tweeters ARE.. not is! Gads. Great suggestions, I could not agree more. It is not about whether you can write a 140-char article – which you cannot – but to learn to get to brass tacks, and say what you want to say in as few words as possible. Also, another Tweeter-virtue: it teaches you to stay focused and niche-oriented; otherwise people won’t follow you and you won’t follow people. And also, a great bonus was left out: Twitter is a great source of ideas for your article writing! Practically inexhaustible, and the sky is the limit…..I have only lately started Twitting, and am quickly becoming addicted. Ooops. Correcting some typos: “Another Twitter virtue…” And “I have only lately started tweeting…”. Got my vowels mixed up, sorry folks…. Twitter has certainly forced me to be more focused and to learn how to catch a readers interest. You build your skill level the more you tweet. The twitter community lets you know how you are doing with your content. Besides improving my conciseness skills, and pushing traffic to my articles and blog, the best use of Twitter is RESEARCH! I watch what people tweet about, showing their interest, and they often include an article that helps me start researching that topic for mor info to write a full article. There are many Twitter Research tools available, and most will list “most tweeted” etc. Marc, Have you noticed how many younger people can not write? Your points about simplicity and being brief are excellent. However, too many of our youth are being thrust through their schooling without being able to read and write. Also notice how many words are being slaughtered by the internet lingo. Oh well, just thought I would add a few thoughts. I wish people would actually write a “mini” article anymore. Nowadays it looks like a mini mall to me. Every Bob, Bill and Tony is trying to sell something, just posting their tiny urls. There should be a law against these serial “spammers”, because that’s what they are doing. They don’t have the proper twitter “etiquette” and should be thrown out. I delete followers that constantly bully their way into my domain. I kick them out. And you should, too. Reading Twitter posts has shown me the broad range of interests out there that can become my topic. the more posts on it, the more interest there is. Twitter also gives links to great idea sources and useful info. I, myself, is just about to start tweeting because EzineArticles is making it more useful to do so. Actually the idea of no nonsense on Twitter feels sad to me. There are a LOT of lonely people out there and sometimes what they are having for dinner is all they have to say. I think what ruins Twitter for me, is internet marketers with get rich quick tweets. I rarely follow back internet marketers. When a follow request comes in, I look to see just how empty their tweets are, consider them and if I want to see their tweets or not… Not! If that is all they tweet, I’d rather read what someone is having for dinner. I think people need to try to be more creative in marketing… competition is high. It just isn’t enough to RT the same ol’ sales pitch. And for that? I gotta say THANK YOU TWITTER! I just want to clarify what I wrote, I am talking about “affiliate marketing” more specifically. After all, “I” am an internet marketer! You guys know what I am talking about I am sure …Right? Thanks for this article and various comments. It’s an eye opener for me and gives me direction. I digress to Hemingway here, as you cited in your article, when he stated:”Write the truest sentence you know.” Should you become proficient at this, most everything else will fall into its proper place. 140 characters should, hopefully, make you think as you Tweet. I like the connection made here between twitter and article writing- less is more as they say. I like the point about the elaborate adjectives and adverbs as this often makes an article feel too overdone and ‘try hard’ rather than natural and free flowing. I’m all about keeping it real. I agree w/ this post and many of the follow-up comments. Kathy, I agree the marketing spam is much more of a bother to me than people talking about their day. I don’t mind chatting it up w/ someone about the weather or what they’re having for dinner but the “BUY MY CRAP” spam gets you unfollowed by me quickly. You can definitely improve your headline-writing skills by tweeting. I’ve had to make things more to the point several times in tweets. Yes, this is a great information. Twitter can be a good training place for the aspirant article writers. It also gives freedom of expression. Thank you, Marc, for the excellent article, which has opened up the Twitter blessings but also the Twitter can of worms… as evidenced by the responses here. I agree with my fellow readers on so many scores. The immediate thought that came to mind before reading your article, is that one of the MAIN differences (other than length of writing) is that Twitter has succumbed to this really irritating “Net Talk.” Surely your average tweet, my own included, don’t live up to the rules of EzineArticles, let alone all the other directories and those who uphold any form of grammar/spelling standards. It pushes Twitter into the same category as texting and that bizarre form of lingo. I also agree with the previous reader who pointed out this insane “Follow Friday” as well as every other day… or the other forms of ##hashtag stuff. There are some days when entire pages are just that. My last gripe? This has got to be what may be the demise of any usefulness of Twitter. And that is this newest tendency for peeps to have multi-gazillion followers! HOW can somebody have 35K followers and ever expect to read… or get to KNOW… that many people? And how can YOU expect that your tweet will ever be seen? I don’t follow most of these twitter czars. I sadly find that I am not as “in love” with Twitter as before. We each have one prime gift, which is Time. And it’s easy to waste this gift! I take a lot of time, forming most of my tweets… and highly agree with the tone of your article. The essence of a writing – just like with the impact of Headlines – can be honed in the Twitter environment. Leanne~ I so agree with you about the gazillion followers thing. I do a companies Twitter for them and I have one of my own. “They” got their followers though one of those sites that promise them. I got mine for the most part by picking them out. The difference in Tweets is HUGE. I find my organically picked followers are more interesting and post less spam. Course I mostly follow artists so it is a given that they might post a bit more creatively. It’s weird anyway. FYI Twitter is going to roll out commercial accounts this year. On the topic of too many followers; I have over 21,000 at last count and follow nearly that many back and I do not automate anything. I hand-pick everyone I follow and I don’t spend hours every day doing it. I offer daily HAHD tips, my EzineArticles, Associated Content articles, writing tips and more through my Twitter feed and I find it’s great for socializing and networking. I follow those who are useful to me, friends and acquaintances, some of my clients, other EzineArticles authors so I see their articles, newsfeeds and other sources of article ideas and writing tips, etc. I’m perfectly aware that some accounts with large numbers of followers are just spammers or people who buy followers but to assume that no one can handle that many followers/following and find it beneficial is false. If I find anyone in my list that’s not useful to me in some way, I remove them. I’ve still been around the 20,000 mark for months. As for those who follow me, there may be spammers there but I don’t follow them back and if I spot them, I block them/report them as spam. “Twitter’s like a pushup bra–you use it to tighten your focus.” This tweet of mine was retweeted quite a bit. Writing for Twitter is quite similar to how I created TV spots when I was a writer/producer except that there’s no audio or video enhancement to help grab viewer attention in the Twitter stream. As with all good writing, the more concrete and visual you can be, the better. Twitter’s space constraint forces a writer to find succinct precise wording, which means either having a good vocabulary or going to a thesaurus or dictionary. Like me, I think a writer’s first thought on deciding to use Twitter is “this will help my writing become more meaty, brief, and clear.” For promoting navigation to links, Twitter is good for writing blurbs, good practice for selecting and revising salient quotations. Lisa, my goodness. We are all still governed by the same 24-hour day. I just did some ‘figgering’ … and I’m not a math whiz, so correct me if I’ve computed this wrong. And you run a business, have a life, plus sleep in those 4.5 hours? Let’s add in perhaps tweeting back to perhaps… ONLY 200… which in my estimation is an astounding amount of interactivity for one day. How long does it take you to ‘twit’ a solid, “makes-sense” reply? Do you think on it, do you research it, do you sit in dire consternation because what you want to say takes 145 characters and so that “ups” the time you take to… 3 minutes instead of 30 seconds? My list is totally organically grown, since November 2008. I am at about 3300 followers; very carefully picked, and pruned weekly to let the spammers out the door. There have been days where I spent an extraordinary amount of time because of new interesting people and what they’ve said. I am NOT at Twitter 24 hours per day. So there is NO way to keep up with even 3300 people let alone 21K. But when it’s all said and done (in 140-char timing or whatever!) real life/real work takes over, and I soberly return to what my business is all about. Which is: books. Not 140 characters. Time consuming, thoughtful, and about to launch into what is predicted to be very successful. Oh. Plus I create the sales page/web site, plus all graphics, although these fall more into the arena of custom art. 46 books and full sites since we began, April Fool’s Day 2009. I cannot imagine you really can keep up with 21K people in a week, let alone a day. If so, and you truly do, I wish you would share your time management abilities here. I’m thinking loads of people could use these skills. I would consider these the acts of Twonder Woman. I wasn’t insulting anyone who prefers to keep their Twitter lists small. I admire that over people who want a lot of numbers just for the sake of numbers. I was simply pointing out that not everyone who follows a large number is unable to keep up with them properly. I clearly explained how and why I have a larger number in my post above. Therefore, I’m not sure of your intentions in your post, Leanne. It almost comes across like you are trying to “call me out” or something. I would be happy to share tips on time management as well as tips on Twitter and organizing/managing large numbers of Tweets per day/week. I also write about these very topics quite often. If you’re active in the EzineArticles community, you will notice that I have no problem sharing my ideas, tips and advice with others. However, your statement seemed more like a sarcastic jab at me than an actual request for my opinions, although it is sometimes difficult to tell one’s intentions/tone from simple text alone. BTW, since you mentioned your “totally organically grown, very carefully picked list”, were you aware that you are following me (and have been for a long time) and that I followed you back because I like to follow your blog post Tweets and you often RT interesting information and links? OHHHH My GOSH!! BRILLIANT LISA…. YOU ROCK!! I AM in the process of TRYING to get more followers…. no matter what I have written before I think it is essential for selling product. Sooo LISA yes chica YOU ROCK. Ohh and the time management thing? YES! I need help. With all your articles you must write about it all no? I have 7K posts on Twitter and for the life of me cannot understand how the heck that happened, tee hee. I guess I just feel jabbery. But the whole time management thing? Sometimes I think it is just the artist’s brain and I am naturally scattered. I need to produce though. I think it is all a part of procrastination (maybe?) …yet I do produce a tremendous amount of art. Ahh me.. see what I mean? I’m scattered! Twitter, articles, art… back to followers and, and… Ohh that reminds me, I am behind now on article writing for the Challenge. Ooof! Hi again Lisa… yup, now that you point out our Twitter relationship, I of course recognize you. Lol, and have you bookmarked as of quite some time ago (another example of [at least, for me] WHO can keep up with bookmarked pages?). I was only being halfway sarcastic and/or smart-a**ed. The truthful question still being… HOW on earth do you keep up with that big of a following? You say you are not automated… ok, but what about some of the twitter organizational tools? I have found since the get-go, which for me, was November … all these apps constructed in AIR, do NOT work on Vista. So that deletes quite a number of seemingly excellent tools, for me and others on Vista. I hate to be a brat (no I don’t, keeps me on my toes)… but my head is reeling after just now, revisiting your site. I’ve read a number of your articles, as well. And… we seem to have the same overkill background and career history. I have always felt I’ve got some very strong time management skills, which have gone out the ceiling in the past years since 1995 and my return to academics. Yes, a decade and 3 degrees. Nobody realizes that education PLUS freelance does = legal suicide! And you either whip it into shape with managing your time or it eats you alive. Some days/weeks, I admit to feeling gnawed around the edges. SO! 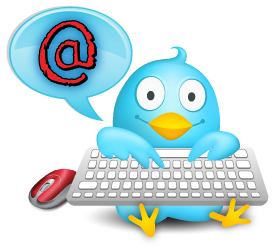 If you have a list of twitter tools that you use, I would be really interested in poking into some of them. I’m not so much interested in growing my list, as I am in finding ways of boiling the existing-and-slowly growing current list down to my really useful tweeps and really being able to keep up with them. I am at the point now where it has got to be about the interaction, and the growing of relationships… or the whole essence of twitter is diminished, for me. I type about 90wpm. From the look of your output, you must do about eleventy-hundred? lol. Lisa, I am sorry if I offended. But I admit to having a big sarcastic bone… if I did not, the area I’ve lived in for now, 5 very hard years, would have killed me. All places are not created equal. For all the grandeur of the Arizona state, this north-central area is beset with more than your average Yogi Bear buncha problems. Internet business? Like there’s any other choice here? No work, no services. I think I’ve turned it around, here, for me. But it’s taken real focus and long hours to do that. I’ve done a 180 and finally! (after being online since 1994) gotten into ART and writing. Before, it was academics, teaching online, and the online version of my dad’s 38year old publishing house. Ok, enuf rant and rave. Thanks for your good words! I will be really grateful if you have a list of tools that you use. I tend to veer away from the tweets expounding on the latest and greatest tools… affiliates who probably don’t even use the things. As for AIR apps that work in Vista, I prefer TweetDeck. Once you learn all that it can do, it’s awesome. You can sort people according to groups that you create yourself. You can search by keywords, filter by keywords and even filter out words, set your API and more. Twittangle lets you rate and tag your friends and filter them on a timeline. Untweeps lets you unfollow people who have not Tweeted in a certain number of days. You can choose what you want to set it to. TwtrFrnd lets you compare common followers. For example, I can see that Leanne and I both share Kathy as a follower. This can help you find new people who share your interests. I like to follow quotes and tips Tweeters as well and when I am looking for inspiration or a quote for an article, I go to “HealthQuotesTweeter”, “ParentingQuotesTweeter” or whichever account applies and look through all their feeds for something useful to my need. Removing them would make it more difficult to find them later but I don’t necessarily read and reply to every Tweet they put out daily. P.S. Leanne is on the right track with staying away from Tweets that promise you latest and greatest tools. Either they are spammy affiliates or in some cases, they actually try to steal or hack your Twitter accounts. You can follow @spam for warnings about this sort of thing. OK… Onward then.. I have some tools. I have seen TweetDeck of course but never used it. OK, I will! Yay! I look forward to your articles and am going to apply your other advice too. Slightly unrelated but did you know EzineArticles has a “suggest topic” feature on every author bio page? Anyone reading this can feel free to send me topic ideas with questions and if I have the knowledge, I’ll write an article in response. I used to be a really concise writer, to the point where it was an effort to create a 1000-word article; I would usually run out of steam around 600 words. In later decades, I started to run off at the mouth. Writing Tweets, e-mail subject lines, and AdWord headlines has reminded me to be concise. I think that Twitter might be destroying our society by making everyone stupid. But, I might be wrong. No-one is doubting that Hemingway was a master, but I strongly dissaprove of Twitter and Facebook too. They are both destroyers of lives and go against any common decency. Ask anyone outside the marketing circle why they have a Twitter or Facebook account and I bet the answer is pretty fantasticle nonsense. I havbe heard more justifyable debates on the radio and such like as to why they should be pulled down than anthing else. By the sheer number of comments here, I would say that people are intrigued with the potential uses of Twitter and Facebook. I have met cousins I didn’t know I had on Facebook, and from a genealogy standpoint, it’s been great for me. I have been in touch with nieces, nephews, cousins, sisters and my mom; it’s a one-stop shop that combines the advantages of email, a chat room and a blog. Having accounts on Twitter, Facebook, as well as a blog, is helping to keep our business site at the top of Google. To say that FB abd Twitter “are both destroyers of lives and go against any common decency” brings to mind the guy clinging to his Remington manual typewriter at the onset of computers. Patty :-)) I love it! (Although I have a typewriter much older than the remington you mention, carefully packed away for … uh… not posterity, my daughters could care less, lol). But GOOD POINT! Debate heating up! Point is the two companions are not compulsory! Simple advice; like it, tweet and tweet; don’t like it, don’t. It’s not helpful to simply state, as in the comment previous to this one, that there’s no arguing about taste when it comes to using or not using Twitter. The purpose of the discussion is to share with other writers how Twitter helps improve one’s writing, which may then lead other writers to try it. Saying that Twitter’s a waste of time if one has never tried using it also is not a helpful comment. It takes about a minute to create a well written “tweet” and perhaps 2-3 weeks of watching others Twitter and trying it oneself to begin to see that it’s worth doing. That’s not much of an investment of one’s time. Keep an open mind; don’t diss what you don’t know about; and see if the rewards we’re discussing here are worth the investment for you. This comment thread has given me 20 new articles and counting! Right, Robert. It was only to convey that those who like it definitely use it for their benefits and learn and gain more and more from it. And it is not necessary that those who are against it don’t use it. They may have used it and disliked it for some reason. Again, twitter cannot be the exclusive domain of only writers; it is a platform for all to write and interact just like sending letters by post earlier times. All letter writers were not authors. So, the debate is set to continue. Twitter is silly and wasteful; whoops I’m out of characters now. Writers should not promote Twitter, they may wish to use it for marketing, but they definitely shouldn’t hype it. Why? Simple really, Twitter is making writers irrelevant. After all, it is dummying down society and making everyone stupid, reducing everything down to miniature sound bytes of 140-characters. The last people on Earth who should be hyping Twitter is Ezine Article writers, because you are only allowing it to replace you faster. Why write a whole article if you can tweet an idea in 140-characters? See the point, and if everyone in the world becomes so stupid that they can only have that much of an attention span, then all of us have ZERO Audience in the future. In fact, it’s almost as silly as the guy who sells “Computer Article Generation Software,” and everytime someone buys it, there goes another writer and eventually all writers will be gone. Did you know that the newspaper industry now has writing programs where you type in the; Who, What, Where, Why and How, and the darn thing makes the news article for you? Well, now some brilliant unemployed writer/software designer has a system that can scour the Internet and and pull the Who-What-Why-Where-and-How from all the articles on the Internet and create a new one. No humans needed, no writers employed, game over! So, all you folks that are promoting Twitter, are realy promoting the dummying down of the human race and making yourselves as writers irrelevant. Fine, go ahead, but don’t say I didn’t warn you. In fact, the reason no one sees this, is everyone has stopped thinking, probably due to all this social media nonsense which is polluting your minds. So, that’s what I think. All of my articles are written by me, not by Automated Software, any Computer Program, or Artificially Intelligent Software. None of my articles are outsourced, PLR Content or written by ghost writers. I believe those who use these strategies lack integrity and mislead the reader. Indeed, those who use such cheating tools, crutches, and tricks of the trade may even be breaking the law by misleading the consumer and misrepresenting themselves in online marketing, which I find completely unacceptable. Benefits of Twitter! I think Lance can now write at least five articles on his doomsday warning. One thing is slowly sinking in me that Twitter is much more relevant to shopkeepers than for professional writers. You make a good meaningful article-prone tweet; and, finally what happens. Just nothing. Sometimes I create a quote from my own poetry or article. I add #quotes and often add a link to find said writing. People are looking for things to RT and quotes work out the best for that. They are hesitant to RT a quote with a url so I do both, some with and some without. I have had many read my poems and articles “because” of my #quote Tweets and other tweets that say look at this or that. Use bit.ly to track your urls and you will be able to see if anyone has read your article/poem based on your Tweet. You can post your url from EzineArticles, that adds to reads on EA’s site, as well as seeing your website urls, resource box, and possibly your whole list of articles. It’s a circle. Lance, Twitter is here, like it or not. I think writers need to figure out how to utilize it to their advantage. Great article surrounding this debate in USA Today, today. You might like to read some additional comments from folks around the nation, both pro and con. Still, the article calls those opposed to Twitter; Twitter Haters! Which I find completely laughable and politically correct, reminds me of some of the politics around this nation, where the critics are slighted and slandered, then silenced with hate-baiting. Humans are so funny, in all their sound and fury. Twitter is just made of the weak human mind actually; Oh, wait, I just got a tweet; wow, incredible Paris Hilton’s dog, well, you’ll never guess what it had for breakfast? Join Paris Hilton’s Tweet List and see all you are missing, silly humans. Tricks are for Kids, not dogs. cause he’s too smart for ’em.. SEE? he’s freaking out and fidgety. for google info seekers to read. And that my Twitter friends? Saw this quote on “Twitter” this morning, so of course, I just HAD to add it. I just signed up with twitter. What are some hints to help me promote my Business? Tips for using Twitter to promote your biz? First, develop a relationship with your followers by posting useful stuff frequently. I’d recommend a ‘pitch’ tweet once every 10-15 tweets, if at all. Second, drive your followership up because your tweets are only as good as the relationship you have with your followership TIMES the number of followers you have. To get more followers, follow more people who match your ideal target customer…and promote your twitter profile to your permission-based email list, and website. I’m not sure I agree that Twitter is dummying down us all; but rather we’re all uninterested in long forms of expression. The number one rule in Social Media is that there are no rules. Therefore, who says you have to read every post of everyone you follow? I think you already know the answer which is that those of us who follow more than we can keep up with do it for more reasons than to just read their tweets. Reason I/we follow more than we can keep up with: Because that’s the only way my/our followers can DM us. Being followed and not following a person back is only a 1-way conversation. Nothing wrong with that, but I prefer 2-way conversations when possible. I read about 200 tweets a week and I use SMS/TXT to zero in on who I want to follow every tweet plus I use search.twitter.com to drill into various keywords of interest. I stopped reading every tweet about a year ago. Chris~ This is so good: “I’d recommend a ‘pitch’ tweet once every 10-15 tweets, if at all” I think, no wait, I know, that I have done way too many ‘pitch’ tweets, so this is a perfect guideline. Thank you! What is a ‘pitch’ tweet? Please tell me how many types of tweets are there. A PITCH tweet is one where you are MARKETING or SELLING something. Thanks Chris. In that case more than 90% are ‘pitching’ only! Good advice. As is true in all successful endeavors, I have found it best to be a problem solver. Thus, when Tweeting, look for problems to solve and then offer them a solution, back at your blog. A rather short, but to the point, little Tweet wouldn’t you say? It could easily get passed over in the myriad of 140 character tweets, posted by people who are simply “Pushing” their wares on others, correct? Also notice that I did not offer up a solution with a link back to my blog, yet. Long story short, after a few DM’s back and forth, it turns out I did have a solution to his problem. But more importantly, I established a long-term relationship with a new friend (consumer) and they have gone on to become a great affiliate for me because of this. It’s much easier to do business, when we can get past the techniques of a thing, and simply focus on building relationships and solving problems. James… bravo and standing O. You have succinctly described how I see Twitter. What you’ve stated is true relationship building, and not this mess (yes mess) that Twitter is becoming. Forest. Trees. It’s getting harder to see either.